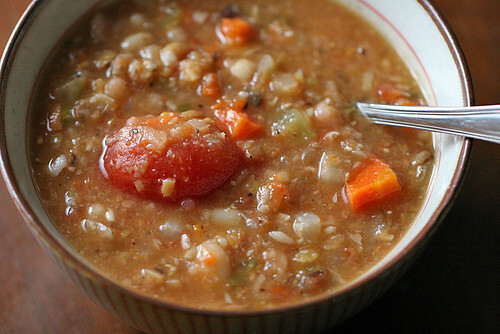 On Wednesday I made a batch of Tuscan bean soup, from For the Love of Soup. It came in handy having posted the recipe on my blog, as I was able to look up the ingredients on my iPhone while grocery shopping. Technology! 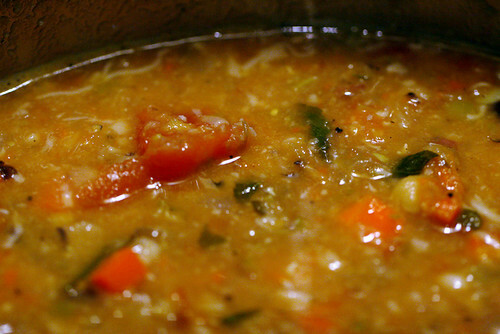 And the soup came in handy in bribing Sonya to help me set up my server (ie. plug it in). 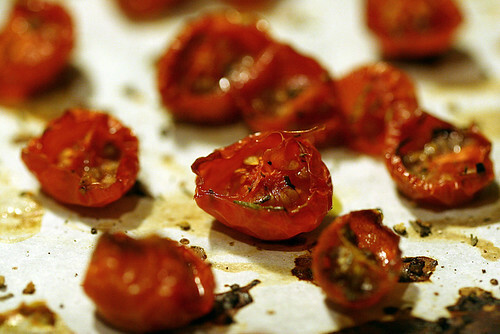 In the meantime I made these slow roasted tomatoes, because my grape tomatoes were getting old. The recipe says to roast them three hours, but these were tiny, and were done in an hour and a half. I ended up eating all of them on bread with cream cheese for lunch the next day. 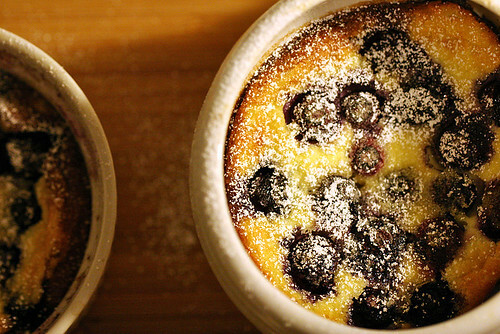 Later on, since I had all the ingredients, I tried my hand at clafoutis. It turned out different from the one I made in class. 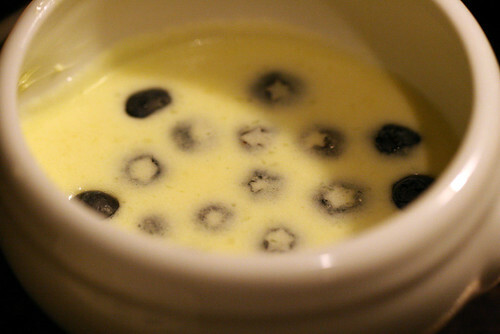 The class version was more cakey; this one was like a solid eggy custard. It tasted delicious, and after some internet research, I think I can conclude that I actually made it right this time. The measurements must have been wrong in my class, I guess. 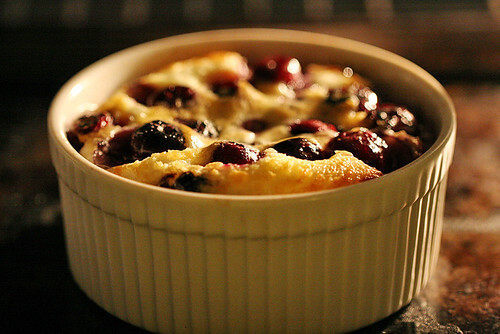 More research is probably a good idea; I will have to venture out into the restaurant world and eat all the clafoutis I can find.